The delicate blue shades of Vintage Garden are so soft and beautiful! 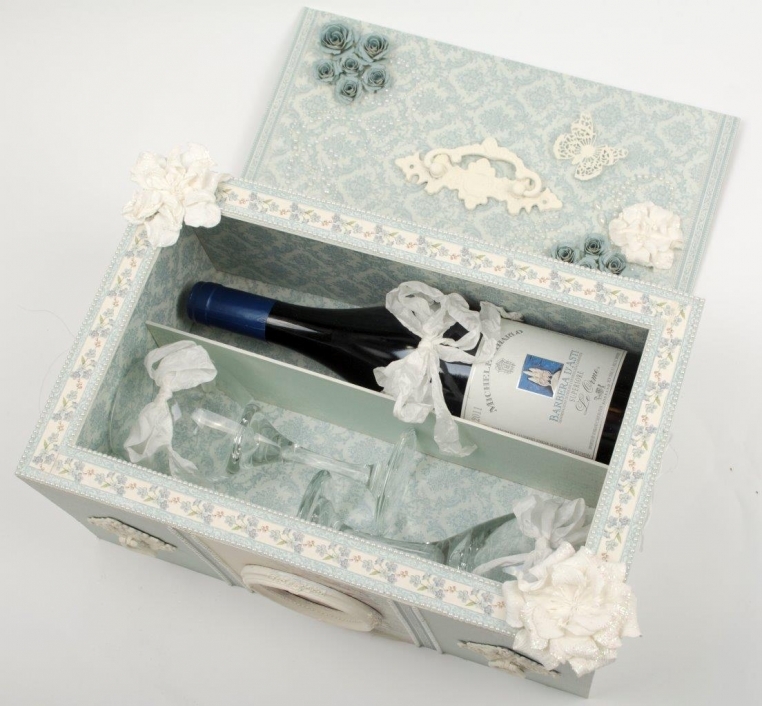 This wine gift box was made by cutting and layering heavy chipboard pieces and then covering them with the lovely Vintage Garden papers. 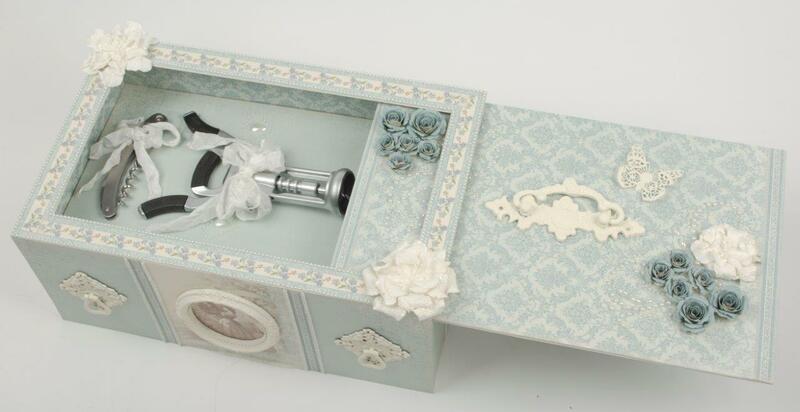 The sliding lid removes to expose a top layer of tools which lifts out to reveal the wine along with two goblets. 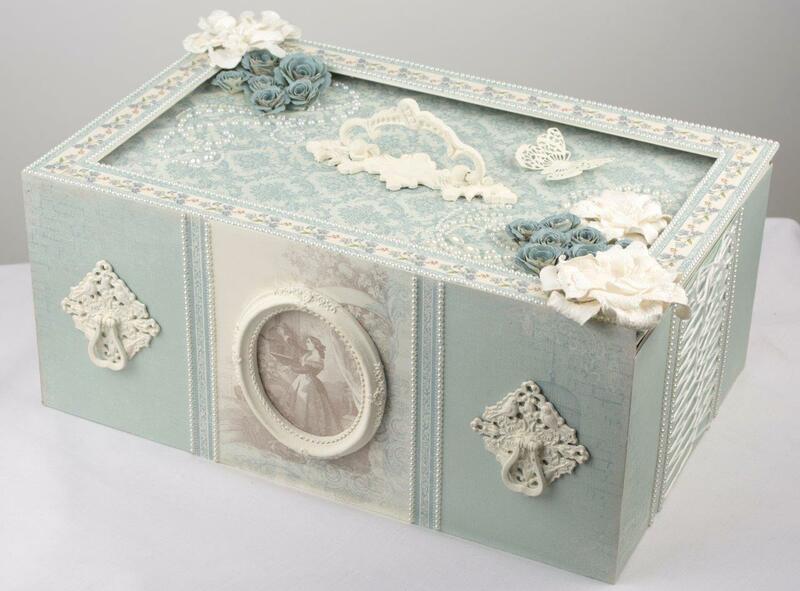 Pion Design’s exquisite papers showcase any project and turn something simple into something very special! Instructions for making this project can be found on my blog.